Welcome to the NAFSA Special Edition newsletter. We’ve got a lot to talk about for the Conference - our party, mental health workshop, mental health session, the insurance booth and team, the leads booth and team and of course the freebie - - so let’s get right to it. But remember, all of this activity is in the hopes that we’ll get a chance to connect personally with you during this very hectic week. So please schedule a meeting, come to one of our events, or simply stop by our booths to say hello - the personal connection, meeting with you, is the highlight of our week! On Monday night, join us to kick off your NAFSA Conference with the best reception of the week! Within walking distance to the convention center, we’re hosting an evening of cocktails, hors d’oeuvres and live music - not to mention great company! If you haven’t already received an invitation and are interested in joining us, please let us know so we can add you to the list. 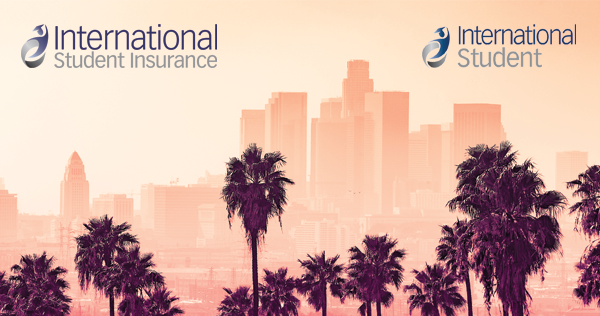 Please visit ISI at booth #1741 to learn about our individual and group health and travel insurance options. We can also tell you about all of the excellent school resources we make available for free, like our series of videos built to educate international students about mental health, sexual assault and the US healthcare system. We can also share with you the exciting new multimedia training program for sexual assault that we are building in partnership with RAINN, that will be available later in the summer for schools to use, free, to train their international students. Here’s the team representing ISI at NAFSA, please contact any of them directly for a meeting. Free Cup of Coffee - On Us! Be sure to book an appointment in advance, and don’t forget to bring your postcard you received in the mail. The first 100 people to bring their postcard to our booth will get a $5 FREE Starbucks voucher!